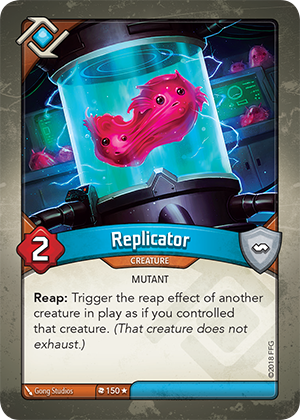 Does the owner of Replicator gain an Æmber when triggering the reap effect of another creature? No. You are only triggering the “*Reap:**” ability of a creature. Gaining Æmber from reaping only happens when you use a creature to reap, which also exhausts the creature. You still gain an Æmber for reaping with Replicator, as normal.